I’m so… actually, i dunno how to explain how am i fed up with home delivery. I ordered a computer from amazon few days ago and i went to track my parcel at lunch break and oh! It was said that the guys had been there at noon, i was there… moreover, no card left. It’s just a bloody computer ! To be sure to avoid any mistake of delivery, i checked the option to get back the parcel from depot… it is only in the East End of Glasgow and well, i’m bloody scared to get there on my own, as a foreign student and lad at night (well at 4. it is night) and i’m not sure to get the item back. I ordered a new sofa set from Littlewoods the other week, recieved it today (delivered by HDNL) all was fine…untill the 2 drivers came into my house to place the sofas in the living room and basicly punched the bottom of it to get it through the door, they also used a floor trolly (I think there called). Anyway as they left I noticed the lable which said (2-PERSON LIFT ONLY, NO TROLLY) so they broke that rule, I unwrapped them and to my supprise BOTH the sofas bottom wooden support beams are snapped in half and tore the leather. Because the sofa was covered with cardboard and clingfilm I couldn’t see the damage untill it was too late. This is the second time HDNL screwed me over, before they delivered a mattress to me and dropped it about 3 ft onto my door step and bent the metal rods down the side and it colapsed. This story concerning HDNL will probably shock a few of the drivers who seem to think the customer is always at fault. 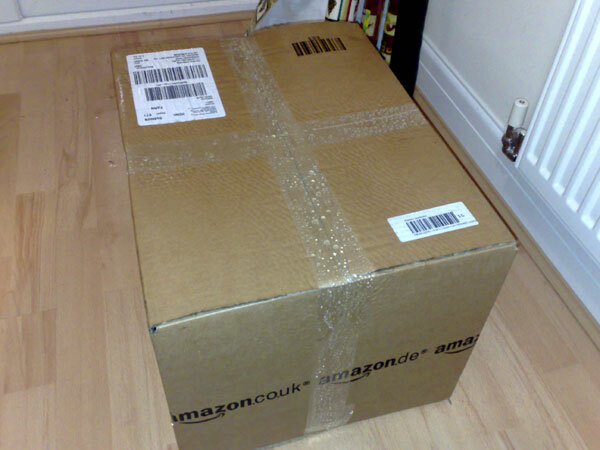 November 2010 I ordered a gift for my husband from Amazon in plenty of time for Christmas or so I thought, it eventually arrived in the middle of January 2011! That’s not all though. I live in a farmhouse with no immediate neighbours and have a large guard dog which lets me know when anyone is outside. Posted on the gate is a notice saying this with my telephone number and instructions to sound their horn to get our attention – then no one has a wasted journey, in addition to this my car is parked in the drive. The delivery person ignored this, entered the garden and when the dog barked at him he began to throw stones at it – as if this would make the dog go away? I was lying on the sofa really ill with the flu, got myself outside after about a minute so witnessed what was going on. I shouted to him to quickly get out in case the dog attacked because of what he was doing. I asked if he had read the sign. He said he was not interested in signs and if I wanted my parcel I had to apologise for the dog! He then said the parcel had been at the depot since November but no one wanted to deliver it. When I refused to apologise he threatened to shut the dog up himself and me if I got in his way. I was terribly shaken by this man’s behaviour and didn’t find out until later which company it was. Now the same thing has happened again, order still hasn’t arrived, replacement being sent but I have asked Amazon to use someone else. I should have reported this to the police but I didn’t because I was so unwell and could barely stand up. This thread looks a little dated but does still come up on page 1 when searching HDNL so here I am. My order was out for delivery, according to HDNL ‘Track & Trace’ facility, but it didn’t arrive. No card was left, but using T&T I was able to see it had been returned to the depot. Next day I searched for a number and tried to arrange redelivery as the date it was giving me online was 3 days later?! I first had to go through the “can I have the reference number from the card” convo, being as no card was left, no you can’t, sorry! Eventually after being made to feel like a liar the lady took my UPI number instead. I was told a time couldn’t be confirmed ( I was hoping after 5pm as I work FT) so I said I would collect if that was possible? Yes sure but you have to wait 24 hours to make sure it’s back at the depot. But the online T&T states that the parcel is already back at the depot? Apparently that’s not always accurate. So why does it state exact times giving people the impression that it’s live? Well it might be there now but it has to be sorted from undeliverable to the collection desk. Ok, but that’s in the same building, right? Yes…. Getting nowhere, I agreed I would wait 24 hours before collecting from the depot. 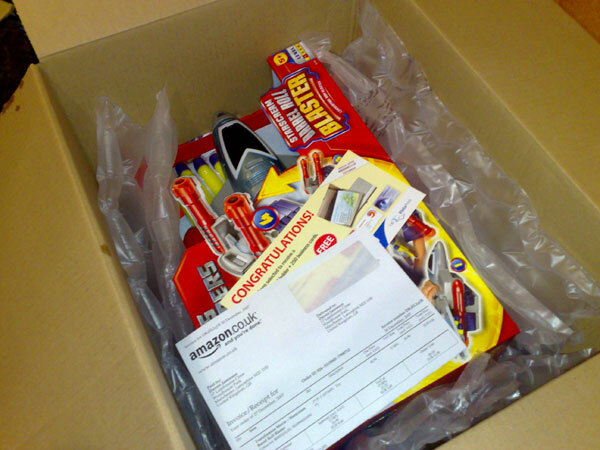 I arrived 24 hours later at the depot to collect my parcel. I waited 15 minutes while the gentleman looked for my parcel. 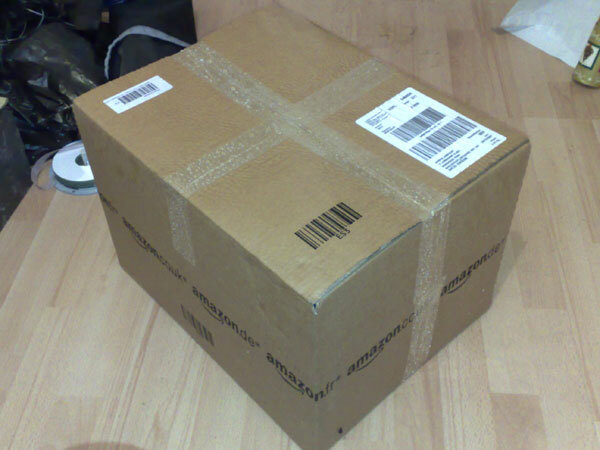 I was then told by gentleman that my parcel had been sent out for redelivery…. You cannot be serious!!!!!!!!!!!! He said if I’d have been a few hours earlier it would have been there hahahahahahaha. I had already advised them, that seeing as I worked full time and they couldn’t deliver after 5pm to my area (the driver “does that area in the morning”) that there was no point continuing to attempt delivery it as I would ALWAYS miss the delivery, so why was it sent back out? ..After another wasted trip to the depot, 20 miles away, I’m now stuck in a circle of trying to collect my parcel while the driver tries to deliver it. Clever, eh? And to answer the ‘why order for delivery if you’re not in to receive’ rubbish – I thought the company I bought from used Royal Mail, they did previously and my item DOES fit the letterbox. It doesn’t mention courier delivery anywhere! Had I known it would be a courier delivery I would have selected my work address, can’t be changed now, of course. The drivers commenting here have been very quick to judge, whilst complaining about being judged. Please bear in mind while delivering, that not everybody is aware that their parcel will be sent via courier, until it’s been dispatched. This useless bunch of drivers are at it again. Got a card through my door today. Tried to re-arrange delivery for a day when I know i am in but the card number is not recognised!!!!!! How can I re-arrange delivery when the card number is not recognised!! 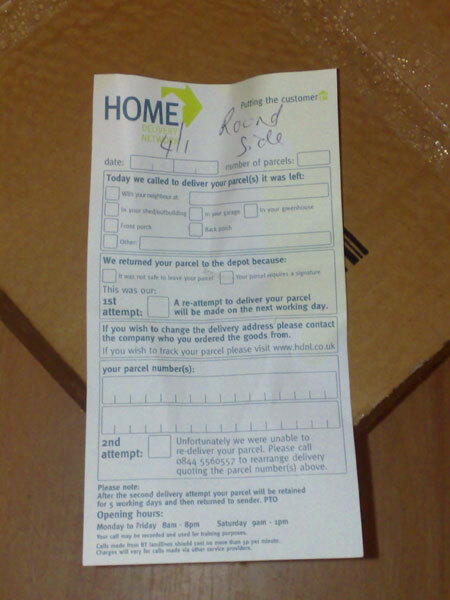 HDNL/Yodel website says “delivered – left safe” but no package. So I call Amazon and they send HDNL back to explain what happened. The guy says he “left it by the door”. When I point out that Royal Mail leave items in the gas meter box he changes his story “yeah, I left it there”… right. So I call Amazon back. They call HDNL back and then tell me HDNL say the item was posted through the letter box. Now I know for a fact that it would not fit through the letter box, and their tracking information that Amazon can access says “left on porch”. So blatant lies from HDNL. Their phone number is automated and hangs up on you. No calling card. No attempt to ring door bell (I was in all day). No response to my email on their website and no response to my email sent directly to their head of ‘customer service’. Another thing. In my humble opinion the purpose of customer service is to make your customers MORE likely to be repeat customers. HDNL customer service does the exact opposite. And to all the people commenting on here in support of HDNL (Anto, Matty…). You are rude, abusive and nasty. Which one of these makes you think people will like you or your company better? The facts are HDNL is the worst delivery service in the UK. HDNL has had problems for many years and has not fixed them. Many many people complain because the service is crap. Matty, Anto, you are deluded if you really are delivery drivers and you really do think this is the appropriate way to conduct a delivery service then in my opinion you are completely unemployable, and it is you not Kate who need to have your brains checked. But by all means continue to post here. You are both so clueless we’re all having a good laugh at your expense! Now you’ll have to excuse me I’m off to report the latest HDNL cockup to trading standards and BBC watchdog. I wasn’t going to bother but your abuse and insults have changed my mind. I am shocked. 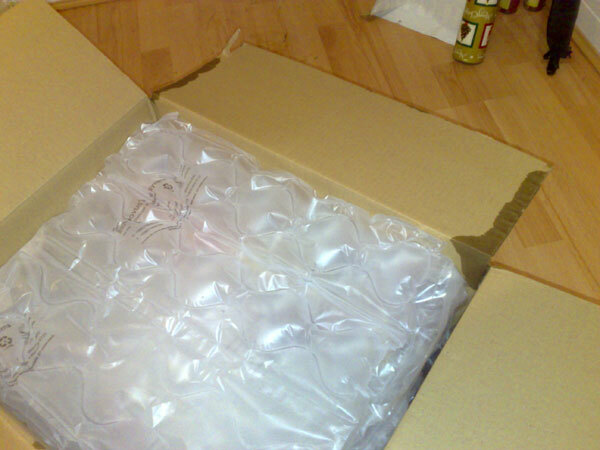 I ordered from Amazon and was expecting a package today. 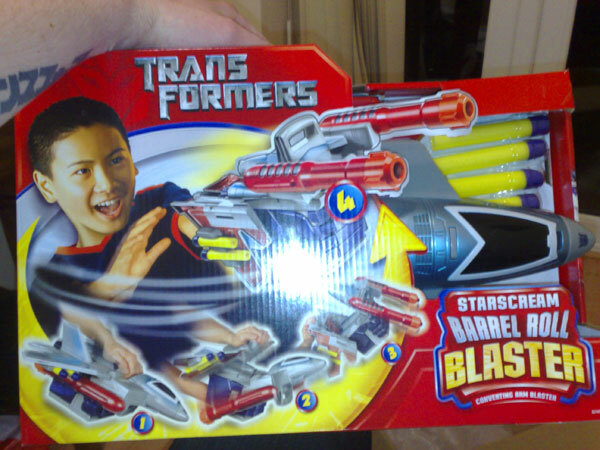 Sadly it was sent to the wrong HDNL depot, and I googled details for the company and found this blog post. I can’t help but feel that it is unlikely my package is coming anytime soon, but I’ll have to stay in just in case. Fantastic. Thankfully Amazon have agreed to refund me for the delivery charge that I paid to have the package delivered guaranteed today. I wasn’t happy prior to finding this post, now I’m just disgusted. Yodel are still absoultly useless. I was expecting a delivery from Argos today. Whilst i was waiting i decided to finish of a course assesment that i was working on. So my flat was quiet. I got up to make a cup coffee and saw a white unmarked van parked in the parking area. 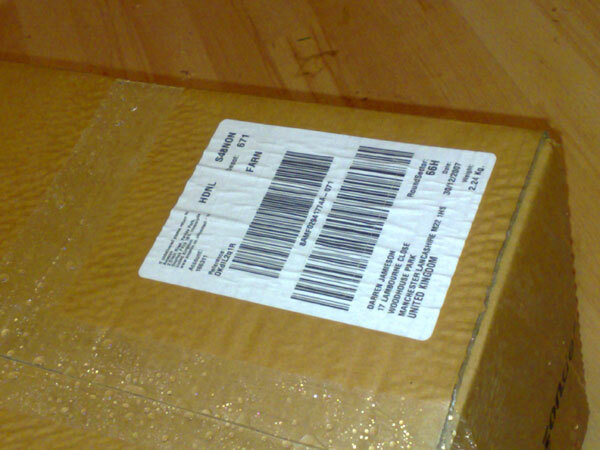 As I was expecting a delivary i went down to my front door and saw a Yodel card stuffed in my letterbox. I didn’t hear any knock what so ever and considering that the only sound in the ouse was the quiet ticking of a clock, my electric fire and my typing It must have been a very very quiet knock.Luckly the van was still there so i called to driver and he grudgingly handed over the parcel saying I should have answered the door when he knocked. When I pointed out that I didn’t hear the knock and the living area of the flat is upstairs he got very rude and suggested that I should have been waiting in the hallway for him to deliver.I won’t add any more as I have now reported the driver to the police under hate crime laws. Matty, maybe if you’d studied harder at school you’d have got a better job, earned more money, learned proper grammar, how to spell properly and been less of a waste of oxygen and blemish on the arse of society. There is only one loser who’s been posting on this blog.